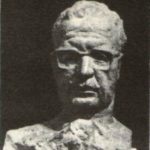 Soviet sculptor Aleksandr Kibalnikov (August 9, 1912 – September 5, 1987) – People’s Artist of the USSR (1963), Laureate of Lenin (1959) and two Stalin Prizes of the second degree (1949, 1951), Full member of the USSR Academy of Arts. Member of the CPSU since 1963. Once, visiting a workshop of Kibalnikov foreign guests asked its owner the following question: “Tell me, maestro, if you have a studio to display work?” And then the sculptor advised them to visit the capital’s Mayakovsky Square, to go to the Tretyakov Gallery, visit Brest, Saratov, Ryazan and other cities, where his monuments are installed… In fact, his works together with the works of artists of different generations are like a huge, constantly open to all art gallery. 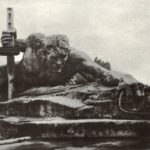 Today we can not imagine Moscow without monuments of Vladimir Mayakovsky and Pavel Tretyakov, Saratov without monuments of Lenin, NG Chernyshevsky, Ryazan – without the monument of Yesenin SA, Brest – without the memorial “Brest fortress”. 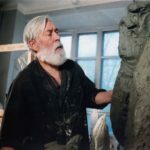 Kibalnikov, for his long creative life, never took up the minor themes, did not create works of “walk-through”, appearing seemingly as an afterthought. Artist – patriot, publicist, deeply principled, he worked primarily demanding of himself. The essence of the master becomes much clearer and easier to understand, when you imagine his creative path, get acquainted with the conditions of formation of the person. Aleksandr Pavlovich Kibalnikov was born into a peasant family in 1912 in the village of Orekhovo of Volgograd region. With great warmth he recalls about the picturesque native places, The Medveditsa River, a tributary of the Don, its violent spring floods, when the water rises to the very walls of standing on a hill village huts. Perhaps a sense of the beauty of nature, with which the boy was in contact every day, contributed to the manifestation of his artistic inclinations. From an early age he had a lot of drawing, carved out of the chalk figures of people and animals. He was influenced by his uncle, fascinated with carving funny wooden figurines and whistles. And already studying at the seven-year school in the neighboring village of Ostrov, Sasha Kibalnikov received first object lessons of drawing and painting from his two older friends, students of the Saratov Art – Industrial College who came on vacation to the village. Sasha accompanied comrades in the sketches. Sometimes they allowed him to “play around” with brush and paint at the real easel. The teenager began to dream of a career of an artist. 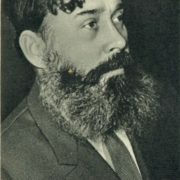 This led him in 1927 to Saratov. In order to support himself, he worked as a loader in the river port, the benefit – he has grown physically strong. At the same time, he intensively studied drawing. A year later Kibalnikov enters the Art – Industrial College. However, not the sculpture department, which he wanted (it was closed), but drawing and painting. Of course, without the means it was not easy to learn. College students at the time did not receive a scholarship. But helping a rare diligence and perseverance anyone цфы seeking to acquire the necessary knowledge and skills. It was a period of rapid flowering of different formalist tendencies. The Saratov Technical College, where Kibalnikov studied did not stay away from them. 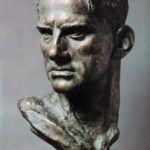 An important role in the formation of his views on art played experienced school teachers, as well as a pupil of the famous sculptor Matveyev – talented artist Vladimir Ivanovsky, who helped sort out the novice artist in many creative and life problems. 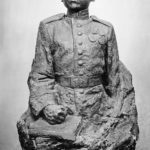 The richest source of feelings and thoughts for Kibalnikov became Saratov Art Museum with its collection of valuable works of prominent Russian and foreign masters. 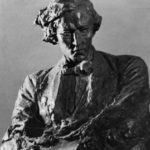 A young sculptor spent many hours and days looking at the paintings of Borovikovsky, Repin, Polenov, Surikov. All what was in the museum, he studied thoroughly. 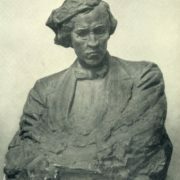 The young sculptor Aleksandr Kibalnikov was fond of images of famous people – the natives of Saratov. First of all, it was Nikolai Chernyshevsky. 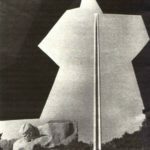 Seven years after graduating from college in 1939, at the All-Union competition his remarkable design of the monument to revolutionary democrat was awarded the prize. To complete the monument did not allow WWII. He finished his sculpture only in 1950. 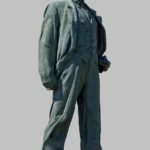 For the statue of Chernyshevsky Kibalnikov got the State Prize of the USSR. 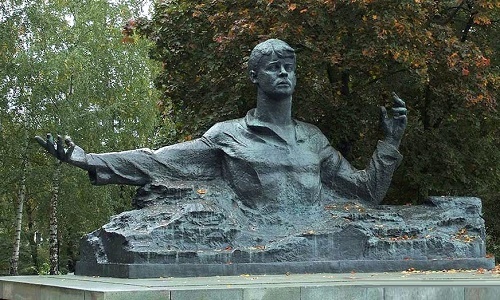 The monument erected in 1953 in Saratov has become his pride. 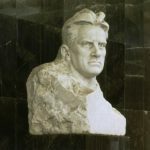 With his favorite city is connected the period during the war, when he produces a plurality of sheets for “Window of TASS”, and at the same time creates a gallery of sculptural portraits and compositions on the theme of the Great Patriotic War: “Working with a gun,” “people’s avengers,” the figure of the Soviet soldier with a banner (it was once installed on one of the squares of Saratov), ​​portrait of pilots and a number of other works. In the postwar years, the artist makes portraits of his fellow – actors of Saratov Drama Theatre IA Slonov and ST Muratov, Suvorov Military School pupil Corporal V. Lisin. 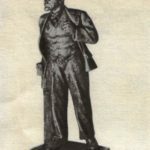 In the city on the Volga Kibalnikov creates a portrait another representative of Russian democratic thought Radishchev for the Saratov Art Museum. After all, the museum was founded by AP Bogolyubov – grandson of Radishchev. 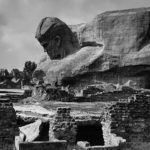 Unfortunately, many of the early works of the sculptor made of no durable materials: plaster, clay, concrete, did not survive. Although the artist had no a pity, – “but by nature I do not like work to store in dust in the workshop. I always try to give it a life on the streets and squares. At the same time, he is working hard in the studio. 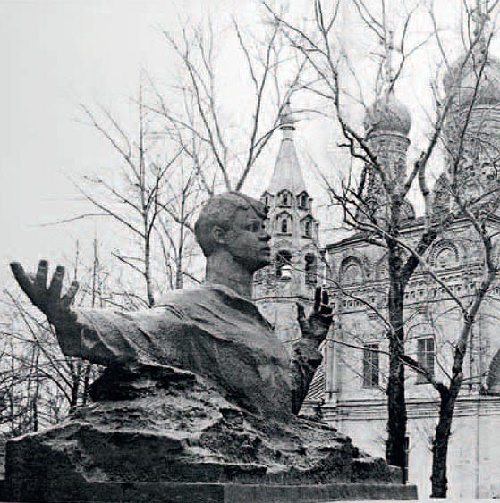 From many themes on which the sculptor was working at the time, a special place is taken by Lenin theme. 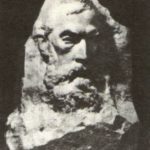 Today he is widely known in the monumental contribution to Leniniana. 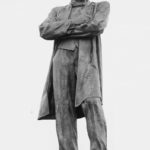 He created monuments to the leader in Moscow on Komsomolskaya Square, Saratov and Yelabuga. 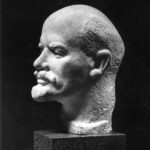 His works are included in the exposition of the Central Lenin Museum, the memorial museum in Ulyanovsk. 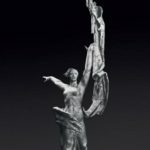 The work of the artist – a special job. A monument can take years or even decades of work. 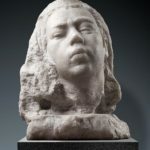 Alexander Pavlovich also worked, as is commonly believed, slowly, spending on the creation of works for several years. “The process of realization of design in plastic form takes not much time – he says. – More is spent on preparation and design consideration”. It is worth remembering this fact: Alexander Pavlovich while working on a portrait of cosmonaut Leonov visited the spacecraft simulator … Perhaps it is this familiarity of master with the orbital technique has helped him in his work on the image of the astronaut.